Hickory Ski Center in Warrensburg, NY is an American ski treasure. Equal parts museum and first-rate ski hill, Hickory is simple, wonderful, and reliably true to its roots. From its quirky surface lifts to hand-built fire pit and deck, little has changed over the years. 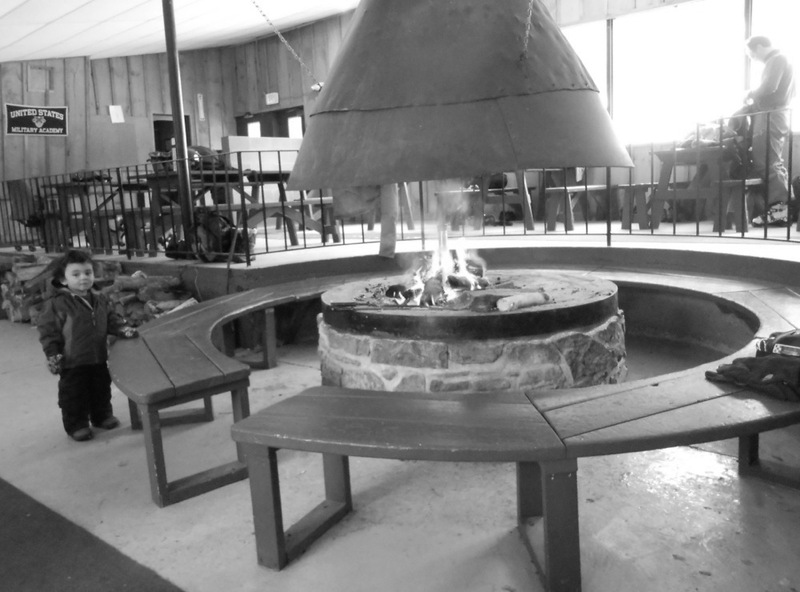 The Ski Center is a throwback to a simpler time evoking memories of your first time on skis. Founded by 10th Mountain Division ski troopers returning from combat in Europe, Hickory’s trails, lodge and lifts display the craftsmanship of the greatest generation. Today, Hickory operates with the help of dedicated volunteers who cut trails each fall and serve on the board of directors. The summit is 1,200 feet above the banks of the Hudson River and the ski area boasts the sixth highest vertical drop in New York. The hill features quality expert and tree skiing runs that use the full vertical without runout. Lifts turn on weekends and holidays when there is enough natural snow. The hill faces north so a motivated weekend warrior actually has a shot at powder on Saturday. 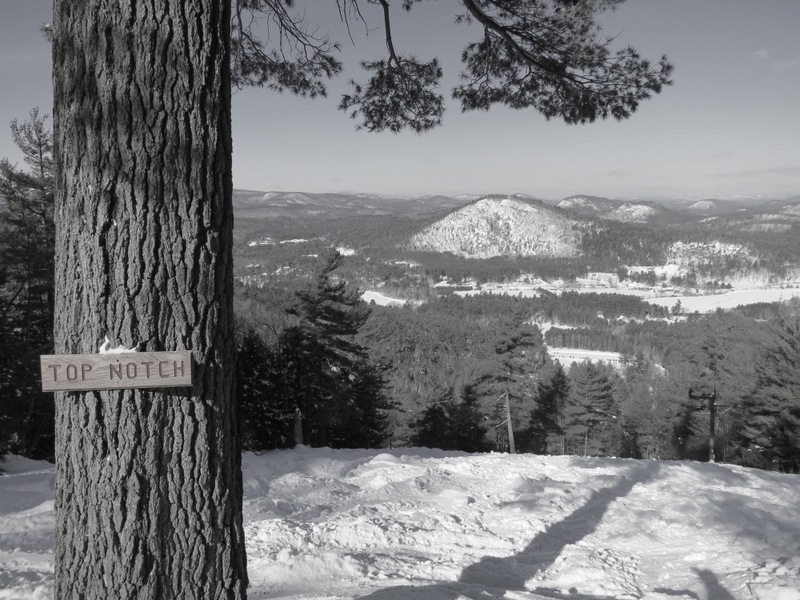 Hickory has survived, barely, when so many ski hills from the same era are gone. Insurance, rising energy prices and competition from bigger resorts all played a role as — one by one — the special little areas, that brought many to the sport, were lost. Through it all Hickory persisted, closing once for a stretch of years before returning to operations. Now Hickory is at a crossroads. Fixed operating costs make running it as a normal ski area impossible. 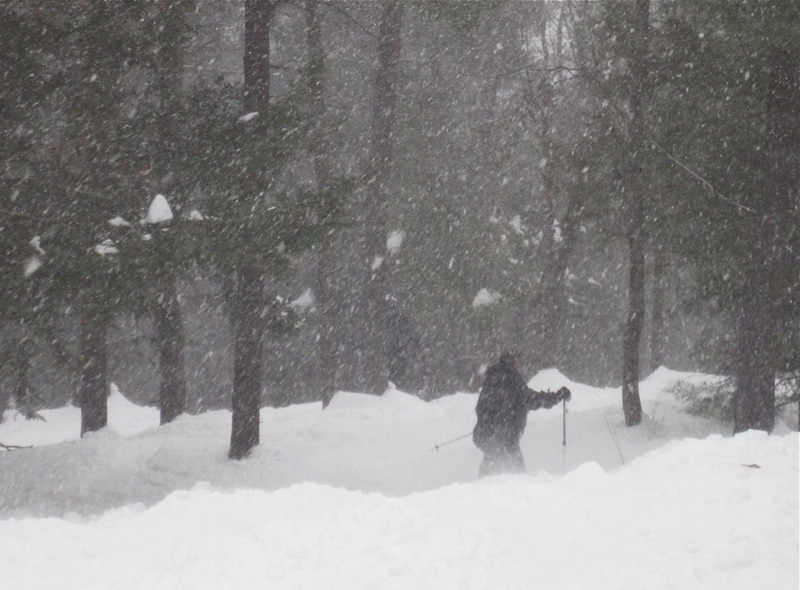 With unpredictable natural snowfall throughout a typical season, Hickory can’t sell enough lift tickets to cover overhead. “Upgrading” the lifts to increase uphill capacity would change Hickory’s unique character, overburden its natural-snow terrain and in turn require even more skier visits. Hickory has proposed a solution — the Hickory Alpine Club — to help ensure a measure of long-term viability for the ski area while preserving its unique community-oriented character. 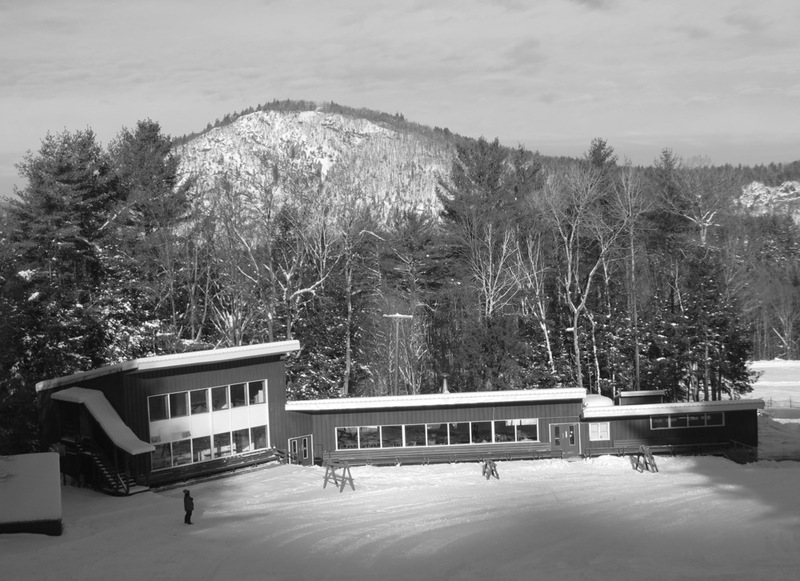 The Hickory Alpine Club plans to build its membership with skiers who are passionate about the ski center. The goal is to recruit from the local community, across New York and the Northeast. Membership payments will be used to finance snowmaking and dues will service the debt required to install and operate a snowmaking system. Different membership options will include lift tickets or passes and access to a handful of cabins and a simple, European-inspired clubhouse at the base of the mountain. These buildings would be designed to allow members to stay overnight. Lift tickets will still be available to the skiing public. When we first heard the proposal, we didn’t know what to think. Here’s this really cool old school ski hill, a magic place, don’t change it! 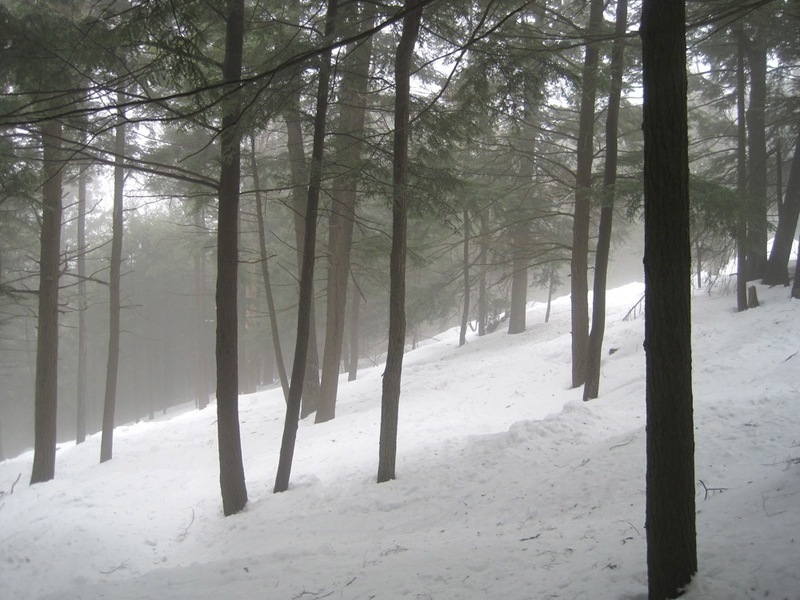 But without consistent conditions provided by snowmaking, the odds are against Hickory. Just look at the track record, most ski areas without snowmaking are gone. Hickory can’t continue indefinitely losing money each winter. There are real people writing big checks to underwrite those losses. Without a sensible plan to put Hickory on a track to sustainability, Hickory will vanish. Can this plan work? Natural snowfall is only 80 inches, but the terrain and views are fantastic. Snowmaking would be a game changer, transforming skiing at Hickory from a novelty into a dependable attraction. In addition, Hickory has gone through the permitting process to draw water directly from the Hudson River. Warrensburg is another big plus. 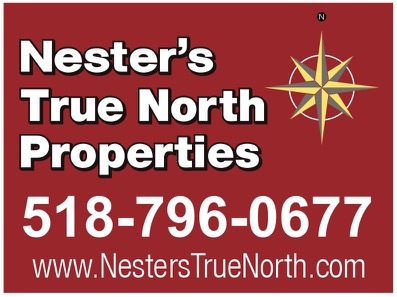 It’s a real town in a great location, close to Gore and I-87 with good access to both New York City and Vermont. Hickory is an American underdog, a place worth saving. NYSkiBlog wants to be part of the solution to preserve Hickory and we’re going to do whatever we can to help. If you feel the same way, consider membership in the Hickory Alpine Club by contacting the club or visiting hickoryalpineclub.com. Fascinating. Hail Mary shot, it seems. Either it’s this or extinction. Better approach than Magic, for sure, especially since they are offering lifetime passes. Of course, they don’t mention the price, which I suspect is substantial. It’s going to be a real issue convincing people to join after a few years when they were only open, what, a handful of days? Rich dirtbags are rare, and most of them live out west or in Europe during the winter. Good luck to them, but, my time will be spent in the Rockies. Well-chosen screen name, Benny-your rhetoric is, indeed, Profane. But hey, thanks for enlightening the ambitious, open-minded free thinkers as to the winter whereabouts of dirtbags of your ilk. I’m going to take wild stab and guess you’ve never adopted a rescue as a pet, or been asked to speak at the local Rotary club meetings. Please: avoid polluting this blog further, you clearly have nothing constructive to offer. The genesis of any positive outcome is a dream. Try it sometime. Looks like they’re pitching it as “Gore is right down the road, so even if you stay in the cabins and ski at Gore, it’s still a good deal and you get to help Hickory stay alive.” I’ve been saying for years that there needs to be more dirt cheap condos near Gore, so this might be good for that. Unfortunately, Hickory is not really near anything, so people might be more inclined to spend their money on a place in North Creek or Bolton or wherever they can have access to restaurants, bars, etc. I’m cool with the concept of a “club” and a communal group to eat and party with slopeside, but that might get old fast if there are some undesirables in the mix. A cool place for families to bond can turn into an annoyance if a couple of rowdy drunks ruin your nights. These cabins had better be well located. None of this would apply to me anyway because I have no need for the lodging. So I guess I’d have to get one of the lower membership tiers. And yes, it would depend on price. Can’t say I’d be keen on spending Gore season pass type money on a lower tier Hickory Alpine Club membership. It’s a tough situation to be in. They need money to make the place better, but they don’t have any way to make that money (so they try this). This seems to happen a lot in the ADKs. People have good ideas, but no money to pull any of it off (see Front Street, ACR, etc). I started off this post thinking this was a positive development, but as I wrote, I have to say I agree with Benny. It just seems like a last ditch effort to become profitable before it folds. Whoa, whoa, senior, what shot up your rear end? Attack my argument, not insult me. I actually think this is a pretty good plan. Sort of. But, let’s face it, Hickory has been on life support after dropping into a coma in 05 and pulled back out by a generous private benefactor, but, basically, has only been open maybe ten days (?) over three years. Year before last, zero. That is not a viable business or non profit (well, of course) when you have an excellent taxpayer funded ski hill just a half hour up the road. I have driven by it three or four times when it was actually open. My ski days are limited. As are the ski days of many others, especially those that work hard enough to afford a private club. Seriously, I wish them the best, but, unless they can attract maybe a hundred people who want to “invest” serious capital with a pretty shaky assurance of any kind of return at all, including actual ski days, well, c’mon. It’s like asking a bunch of Westchester wasp financial guys to invest in a swamp ten miles away that may or may not be a superb golf course, when they have three clubs within ten minutes available to them. I do hope it happens, though. Hickory is an awesome mountain. I think. Just had two days there in ten years. It’s never open. And my screen name is a Pynchon reference. Look it up. Oh, and, dirtbag is a complimentary label, coming from me. Just checking, in case you were insulted by the term. I think an up-hill option needs to be included for people willing to earn their turns; a European hut type of experience! Hickory will always have a place in my heart reminds me of skiing when I started in the early 70s at the small mountains before snowmaking was big the biggest challenge on the weekend would be ski Mad River on Saturday ski Hickory on Sunday drive home and it was fantastic when I was younger I didn’t know what I had now that I look back, the modernization of the ski areas has taken away its heart soul. I know I can’t stop progress but remembering walking in the hickory lodge the first time brought me back to being a five-year-old going into the highmount Lodge with my family smelling the smoke from the fireplace seeing the lace up boots riding a T-bar for the first time in years reminded me of where I came from this change may need to occur to continue hickory sustainability but if I was Bill Gates and had that kind of money I would keep Hickory as it is riding up the mountain on natural snow and skiing down on natural snow rules. Like many other readers here, I love Hickory’s terrain and vibe. I agree that snowmaking is key to Hickory’s survival. But I wonder about the economics. If you’ve already got a loss, then you add to that the debt service on the snowmaking equipment (expensive) and the operating cost of the snowmaking equipment (expensive), that’s a pretty big nut to crack with a couple hundred memberships. On top of that, if you’re going to have snowmaking you’re going to need significant grooming, another expense. I guess I’d like to see the financials in whatever offering is being prepared for this club. Also, it wasn’t clear from the blog post or from the Hickory Alpine Club website whether Hickory would remain open to the general public or if it would be exclusive to members. I’d hate to see the general public no longer have access. Regarding the (significant) omission regarding the general skiing public: lift tickets will continue to be sold as they have been in the past. A correction has been added above. Our apologies for the confusion. in regards to snowmaking, they do actually have a decent amount of equipment already. i was told last year that if they could just pipe the mountain they have the guns to cover it all in a week. (portable guns) the mountain can survive if the capital can be dropped for snowmaking, could you imagine this place once it is open every weekend every year? while the mountain is small there is some (not much unless one of the other three sisters is tapped) room to expand trails. you just dont find real skiing like this anywhere else in this area. it is the closest thing to “back country” skiing as you can get without spending an arm and a leg to actually do it and if its marketed properly and enough money is dumped in for snow making you could have a real gem here. Nice post and it sounds like a good idea. @ Harv: The piece doesn’t mention whether Hickory will be not for profit. Wondering if the not for profit avenue might be worth investigating by Hickory. There are precedents in the xc ski community here and there. Looks like an excellent case for crowd funding, kickstart, etc. Weird how just the right publicity now a days can turn mega money. That ” Grumpy cat” earned 100 million dollars these last 2-ish years. One big snow and some prominent skier personalities to ski Hick and then rave about it might turn the coin Hick needs. I love this place. I’ll ski it everytime I can. I get free vouchers at Gore and my son had a Gore season pass last year and we ended up skiing Hickory almost as many times as Gore. I’ll always support this place when I can. I investing more than a day or two of labor or a few hundred bucks but I hope it lives on!! Hmmm, this sounds interesting. I love skiing at Hickory but the damn place is never open. Anyone else actually considering joining? btw, if Benny joins I’ll join. Glen Plake to the white courtesy phone, please. Mr. Plake, please pick up a white courtesy phone. Hey, if it ever opens. Great read! My Dad served in the 10th Mountain Division, so it is with continued great admiration for their outdoor spirit that we find yet another ski area founded by these visionary men of action. Climb to glory ! I guess it’s evident that I’m behind this idea. The way I see it, the mountain can cease to operate, evolve into a West Mountain, or find some creative way to preserve what so many of us love about the mountain. The first two options have been done; many mountains are out of business while some have adapted with a “day mountain with night skiing” model. This third option is based on the assumption that there is enough collective will to make it happen. Preserving Hickory would make it a unique place in America. That’s the brass ring that these guys are after. If the club can meet its recruitment goals, snowmaking will move forward and Hickory has a chance to remain Hickory for club members and the skiing public. I believe the recruitment targets are reasonable. And according to Hickory, dozens of leads have been generated by this piece and other social media in just a few days. Many of the questions posed above are reasonable and logical. All we’re asking is that if you’re truly intrigued or excited by this idea, reach out to the club. Ask them anything you like, and if you want to be a part of the effort, go for it. My name is Jason Connell and my goal with this comment is to help clarify any questions and or concerns about this legendary ski mt. You can contact me at 518-641-8102 or email me at [email protected]. All questions and concerns are welcome at any time. I am a very involved volunteer at the mountain. I have recently worked there under the the amazing owner/investor who is actually from the nearby area of Saratoga, for about two years. My grandfather (Raymond Connell) who has since passed was a well known stockholder/volunteer at the mountain as well as all of his children and their children and all of their friends and family in between. Ray would do anything to make the mt. work even if that meant reaching into his own pocket for what was needed. My cousin Matt Connell and myself are trying to continue this commitment and dedication in the name of Ray. Anyone who has ever skied this mt. would agree that terrain and the family commitment that this ski area has offered will forever hold a spot in our heart. With the support and exposure from anyone who will help I am positive hickory WILL survive. I understand that lack of natural and man made snow makes marketing and sales very difficult. We are always looking to maintain and improve hickory. The owner is a very smart man and has a desire to see the mt. survive. The only thing that can help us expand and operate on a regular baises is if we (dedicated skiers) can help spread the word about any single day that we are open. If we can prove that there are enough believers in Hickory and have good turnouts on the few amazing days that we do open it will help the mt. Acquire the infrastructure and capital to help the owner and shareholders feel more comfortable about keeping this legend alive. With this said i wish to see this community get together and make what seems impossible not only happen but become the best thing that has happened to a dying ski area in a long time. Again we welcome any comments concerns, ideas and help. If anyone wishes to make a donation which has helped us through the hardest of times in the past I will point you in the right direction to assure it goes to the most helpful of needs for Hickory. Thank you to anyone who may read this and I hope to hear from anyone looking to tell a story, help or really anything at all from the ski community.